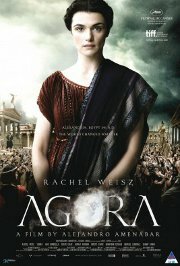 Set in 391 A.D. at Alexandria in Egypt, this is the story of a remarkable woman caught up in empire-changing events. She was a polymath, continuing the family business of educating people. At the time, Christianity was on the rise, and she found herself directly involved in the battle between religion and science. The situation deteriorated into violence as the Christians struggled for dominance against the 'pagans', culminating in the horrendous torching of the library at Alexandria.